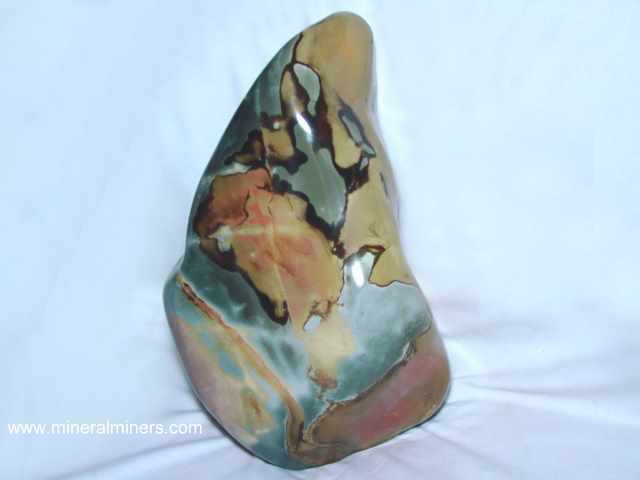 Try our Jasper Mineral Specimens Satisfaction Guarantee - compare our prices and our superior quality. Click on any jasper specimen image below to enlarge it. This unique decorator specimen of natural color polychrome jasper stands 5.3 inches tall. 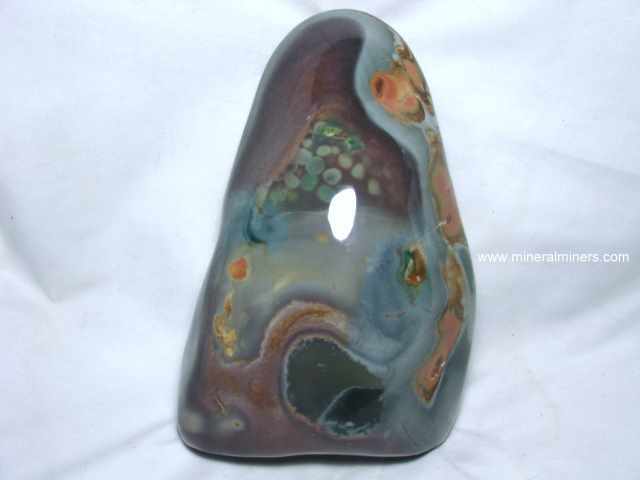 It was handground and polished in this free-form sculpture with wonderful patterns and all natural colors! 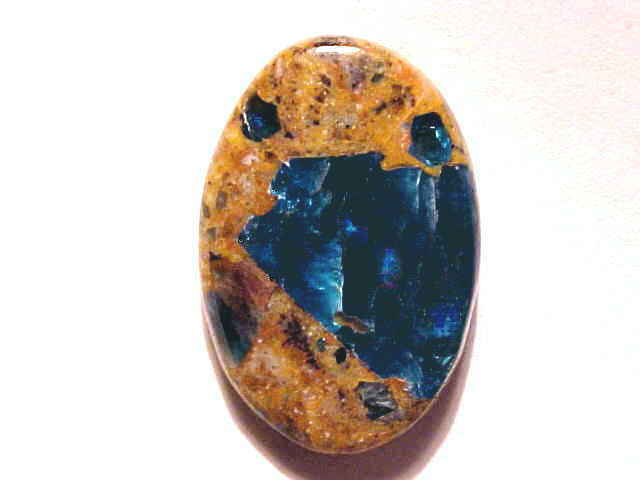 See also an opposite side view of this natural color jasper decorator specimen. This unique sculpture of natural color polychrome jasper was handground and polished into this free-form carving with very interesting patterns and all natural colors! 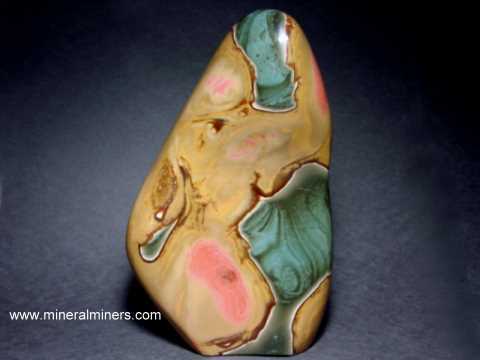 See a side view of this natural color polychrome jasper decorator specimen. See also an opposite side view of this genuine polychrome jasper decorator specimen. This sphere was handcrafted from Ocean Jasper rough that was mined in Madagascar. It has green, white, pink, and brown natural colors with multi-colored bullseyes. This sphere makes a great specimen of genuine ocean jasper. This unique and colorful sphere was handcrafted from natural color jasper rough that was mined in Madagascar. This "polychrome" jasper is from a mine located near the coast of Madagascar. 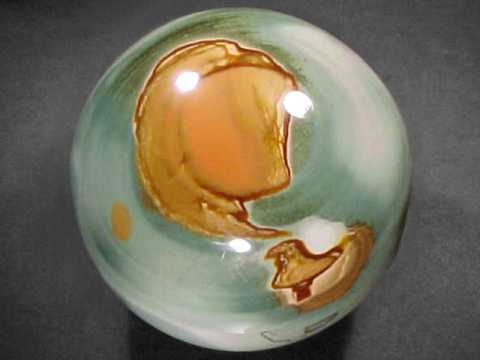 This particular sphere has gray, pink, red, yellow and brown swirls and layers (all natural colors). This unique sphere was handcrafted from "Ocean Jasper" rough that was mined in Madagascar. "Ocean Jasper" is a rare orbicular jasper variety that was mined at a single location on the coast of Madagascar. This particular sphere has white, green, brownish-orange, and pink areas as well as some sphericals and multi-colored bull's-eyes (all natural colors). This beautiful sphere has some small vugs exposed around it's surface. This unique and colorful sphere was handcrafted from natural color jasper rough that was mined in Madagascar. This "polychrome" jasper is from a mine located near the coast of Madagascar. This particular sphere has gray-green, red, lavender and brown patterns and swirlss (all natural colors). This unique jasper sphere was handcrafted from "Ocean Jasper" rough that was mined in Madagascar. "Ocean Jasper" is a rare orbicular jasper variety that was mined at a single location on the coast of Madagascar. This particular sphere has white, yellow, gray and green areas (all natural colors). Exposed on its surface are some small crystal filled vugs. This unique jasper sphere was handcrafted from "Ocean Jasper" rough that was mined in Madagascar. "Ocean Jasper" is a rare orbicular jasper variety that was mined at a single location on the coast of Madagascar. This particular sphere has white, yellow, brown, gray and green areas (all natural colors). 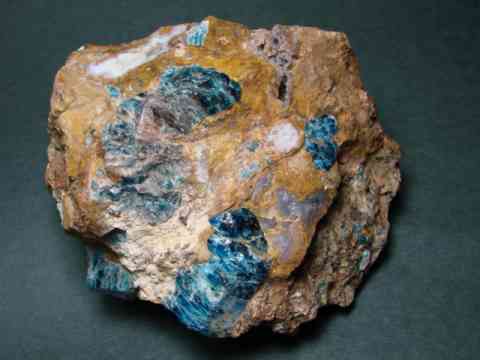 Exposed on its surface are some crystal filled vugs. This unique and colorful sphere was handcrafted from natural color jasper rough that was mined in Madagascar. This "polychrome" jasper sphere is from a mine located near the coast of Madagascar. 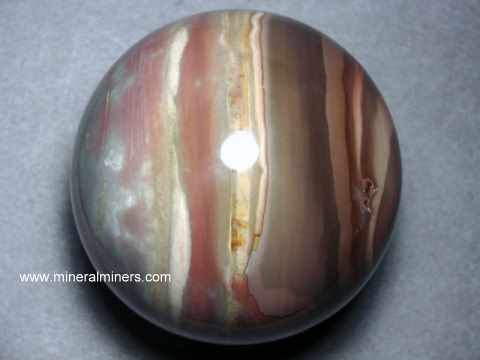 This particular sphere has gray- red, pink and brown swirled layers (all natural colors). See also a side view of this natural color polychrome jasper sphere. This unique jasper sphere was handcrafted from "Ocean Jasper" rough that was mined in Madagascar. "Ocean Jasper" is a rare orbicular jasper variety that was mined at a single location on the coast of Madagascar. This particular sphere has white, yellow, grey and green areas (all natural colors). Exposed on its surface are some vugs with drusy quartz crystals inside. This unique and colorful sphere was handcrafted from natural color jasper rough that was mined in Madagascar. This "polychrome" jasper is from a mine located near the coast of Madagascar. This particular sphere has beautiful gray-green, red and brown patterns (all natural colors). 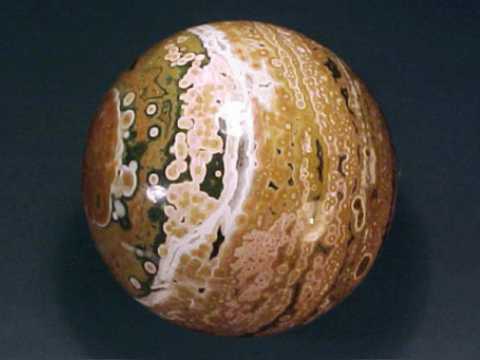 See a side view of this natural color polychrome jasper sphere. 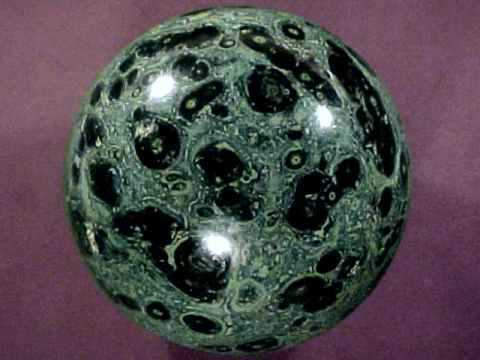 See also an opposite side view of this natural color polychrome jasper sphere. This unique jasper sphere measures 4.1 inches in diameter. It was handcrafted from natural color "polychrome" jasper rough that was mined in Madagascar. This particular sphere has very interesting natural swirled patterns in shades gray, brown, red and pink (all natural colors). See also an opposite side view of this natural color polychrome jasper sphere. This unique jasper sphere was handcrafted from natural color "polychrome" jasper rough that was mined in Madagascar. This large jasper sphere has very interesting patterns in shades of gray, yellow, orange-pink, white, green and brown (all natural colors). See also a back-side photo of this natural color polychrome jasper sphere. This unique and beautiful sphere was handcrafted from "Ocean Jasper" rough that was mined in Madagascar. "Ocean Jasper" is a rare orbicular jasper variety that is mined at a single location on the coast of Madagascar. Because it is exposed right where the ocean crashes on the rocks at sea level, this jasper can only be mined at low tide! This particular sphere has gray, white, yellow, brownish-red, tan and green areas (all natural colors). Exposed on its surface are a few small crystal filled vugs. Our Jasper Mineral Specimens are completely natural with no treatments of any kind. 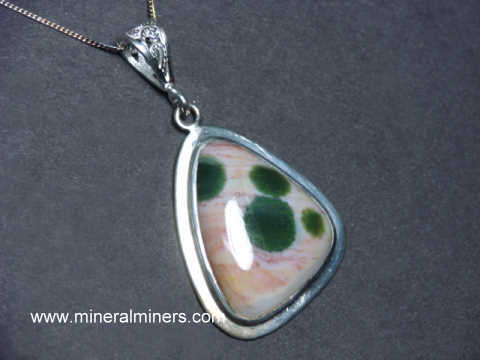 See also our genuine jasper jewelry designs. We also have a selection of very beautiful all natural color Mookaite Jewelry! 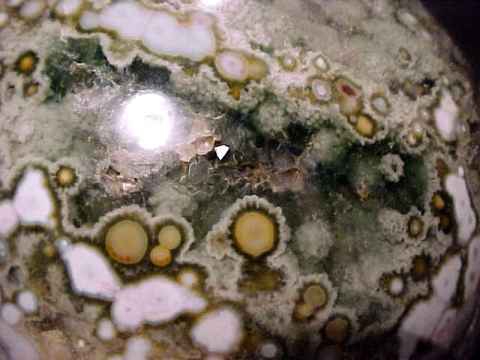 See also our page displaying genuine Ocean Jasper Spheres and Eggs. Please see the links below for natural jasper products including jasper spheres and jasper lapidary rough! Each of our jasper rough specimens is untreated & unheated natural color jasper! 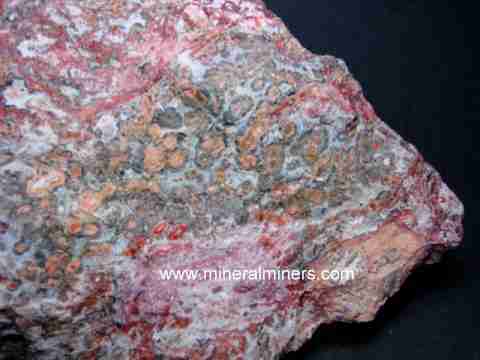 Our jasper specimens are lapidary grade and can be used for making cabochon gems, carvings etc. We have jasper pendants, rings, bracelets and necklaces available with cabochon gems of natural color jaspers in many diffrent jasper varieties. 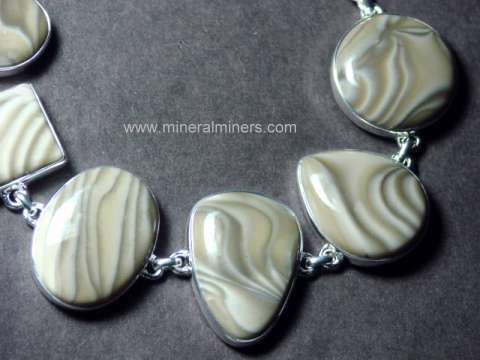 Our jasper jewelry is set in 925 sterling silver. The gems in our jasper jewelry were handcrafted from jasper rough that was mined at locations worldwide! 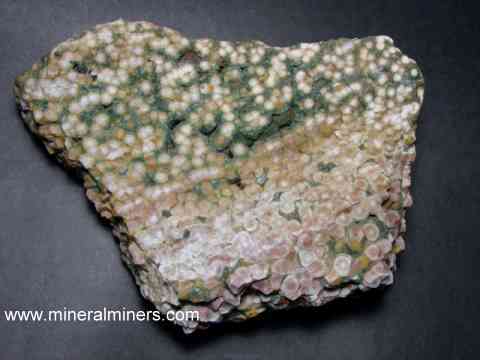 Would you like us to inform you when we add more natural jasper mineral specimens on this page?